Home » Project Communication – keep talking! 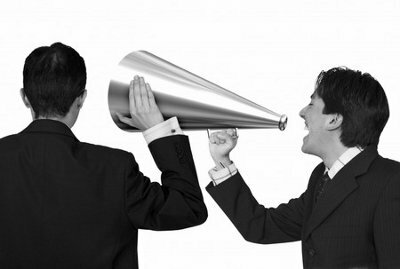 Project Communication – keep talking! Project Communication is bigger than the project. Sounds too obvious? It would seem that the opposite is true. Think about how much of a cliché “communication” has become. The lack of it is cited as one of the most common causes of project failure. It is offered as one of the top cures for project ills. In a way this is correct, but if so, why does it need to be repeated so often? Is it that communication is not understood in the project management context? The basics need to be in place, of course. You need to have a plan to provide the right information about the project to the right people. You need to understand your stakeholders, who require all sorts of reports, meetings, graphs, project earned value analysis and other feedback. Yes, some will provide input too. Project Communication is much more than these formal measures. Talk about your project to anyone and everyone! This may sound like you’ll become a crashing bore, but it is surprising how people like to hear about what’s happening in the rest of the organization. It also depends on how you do it too, of course! Don’t go into long monologues that will put everyone to sleep. Just drop in a comment here and there when you see people in the course of your day. Keeping people up to date with your project can have surprisingly effective results. Try and meet as many people as possible. You may discover another project previously unknown to you, with project stakeholders not even on your map, that has changed course and will either impact or be impacted by your project. Don’t leave this all to chance, though. Make every effort to get news of your project published, with your photo, if possible, in internal and external corporate publications. Some of these will have been identified in your formal communication plan, but look for other opportunities to “market” your project. People will get to know you and this will pay off over time. If you don’t Market, you won’t Make It!